Our dental team is here to provide you with a dental experience that is relaxing and comfortable. Our caring professionals provide the highest quality dental care available, using state-of-the-art equipment because we believe you deserve the best. We cater to the needs of our patients and want you to feel calm during your visit, our desk staff will change the music for your listening enjoyment and help you figure out the costs involved with your dental care. Our offices is conveniently located in Center Harbor, NH. Feel free to call us or email us with any questions you have. 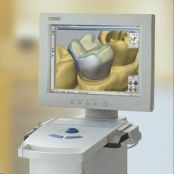 Cerec is the top system for the fabrication of ceramic dental restorations, completed in one visit! This method requires one visit from start to finish, walk out of our office with a permanent restoration, resume your regular life. No follow-up appointment CEREC enables your dentist to insert esthetic ceramic crowns or partial crowns in a single session. ​Long-term stability More than just a theory: With CEREC you can rely on quality that has been proven millions of times over in the practice. Furthermore, thanks to your new dental prosthesis made by CEREC, your smile will be just as lovely many years later as it is directly after receiving the prosthesis. Like a real tooth Due to the translucency of ceramics, the dental prosthesis looks like a real tooth. In a ceramic dental prosthesis, no dark edges are visible as is so often the case in conventional crowns. Ceramic is very close to the hardness of the natural tooth, thus preventing wear of the tooth, which unfortunately so often occurs with other materials. Ceramic is very well tolerated so allergic reactions are largely excluded. This is not the case with other methods and materials. The CEREC method is a gentle treatment for your teeth. Only the carious tooth surface is removed. The remaining healthy tooth substance is preserved.